> PDF version LVMH Moët Hennessy Louis Vuitton, the world’s leading luxury products group, recorded revenue of €10.3 billion in the first half of 2011, an increase of 13%. Organic revenue growth was 15%. All business groups contributed to this performance, which is even more remarkable coming on top of the strong growth in the first half of 2010. The Group continued its sustained growth in the U.S., Europe and Asia. Profit from recurring operations for the first half of 2011 rose to €2 223 million, an increase of 22% compared to the same period in 2010, which had itself shown strong growth. Current operating margin reached 22%, an improvement on the first half of 2010. Group share of net profit increased to €1 310 million, an increase of 25%. Bernard Arnault, Chairman and CEO of LVMH, commented: “LVMH’s excellent performance in the first half, once again, demonstrates the exceptional appeal of our brands, the attraction of our high quality artisanal products and the pertinence of our strategy. The first half was marked by the agreement with the Bulgari family to strengthen the long-term growth of the famous Italian Maison. This alliance will bring significant advantages both to the Bulgari Maison and to LVMH. We approach the second half of the year with confidence and are relying upon the creativity and quality of our products as well as the effectiveness of our teams to pursue further market share gains in our historical markets as well as in high potential emerging markets.” Highlights of the first half of 2011 include: • Double-digit organic revenue growth in all business groups, • Market share gains of all our brands, • Strong revenue growth in emerging markets, • A record level of first half current operating margin, • Continued remarkable momentum at Louis Vuitton which recorded double-digit organic revenue growth and an exceptional level of profitability, • Confirmation of the continued demand for Wines & Spirits and Watches & Jewelry, • Robust growth at Christian Dior, which gained market share, • Rapid progress for DFS and Sephora across all markets, • Cash from operations before changes in working capital of €2.5 billion, up 25%, • Net debt to equity ratio of 19% as at the end of June 2011. Wines & Spirits: confirmation of a strong return in demand The first half saw the confirmation of strong demand at Wines & Spirits, accompanied by an improved product mix in line with its value creation strategy. Organic revenue increased by 13% and profit from recurring operations increased by 27%. Champagne revenue experienced rapid growth with a particularly sharp rise for the prestige cuvées, notably Dom Perignon and Krug. The sparkling and still wines activity grew rapidly. Hennessy cognac continued to record strong performances. The premium quality products achieved the strongest growth. Glenmorangie and Belvedere experienced strong momentum. Fashion & Leather Goods: exceptional success of Louis Vuitton and other brands The Fashion & Leather Goods business group registered 14% organic revenue growth in the first half of 2011. Profit from recurring operations increased by 17%. Louis Vuitton continued to register exceptional performance, confirming the brand’s strong appeal to both its most loyal and its new clientele. All its business lines contributed to this momentum. A number of products have waiting lists. Louis Vuitton’s participation in the Basel watch fair for the first time and the opening of the new leather goods workshop in Marsaz in France marked the first half. Louis Vuitton is always driven by its incomparable creative capacity, and by the fact that it is the only luxury brand in the world to sell its products exclusively through its own store network. Fendi and Donna Karan continued sustained growth in their revenue and profit. The other fashion brands had an excellent beginning of the year. Céline, in particular, generated extraordinary demand from its clientele. Perfumes & Cosmetics: vitality of iconic lines The Perfumes & Cosmetics business group registered 11% organic revenue growth. Profit from recurring operations was stable compared to an atypical first half of 2010 when revenue growth had preceded marketing expense growth. In a highly competitive global market marked by marketing investments, Christian Dior continued its strong momentum thanks to the excellent vitality of its iconic perfumes, notably Miss Dior and J’adore. The success of the new lipstick line Dior Addict contributed to further increase Dior’s position in the make-up market, and skincare benefited from the progress of Capture. Guerlain achieved good performance thanks to the successful launch of Shalimar Parfum Initial and the rapid growth of its impressive skin care product, Orchidée Impériale. Givenchy benefited from the growth of the perfume Play in both the men and women’s versions. Benefit continued its rapid and profitable growth. Watches & Jewelry: strong improvement in current operating margin In the first half of 2011, the Watches & Jewelry business group benefited from sustained demand across all its regions. Organic revenue grew by 27% and profit from recurring operations increased by 73%. TAG Heuer revenue grew significantly thanks to the automatic chronograph made with the 1887 Calibre movement, to the new women’s ranges in the Formula 1 line, as well as the selective opening of TAG Heuer stores. At Hublot, the latest models from the King Power line were delivered, complete with new Unico movements made by its Manufacture. 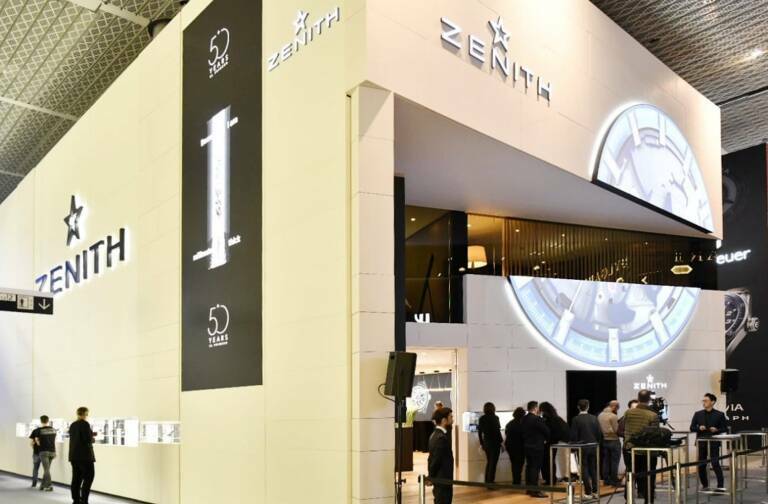 Zenith confirmed the strong demand of its new collections. Dior launched with extraordinary success the Dior VIII watch, which has already become a world reference. Chaumet, Fred and De Beers achieved good performances in their own store networks. 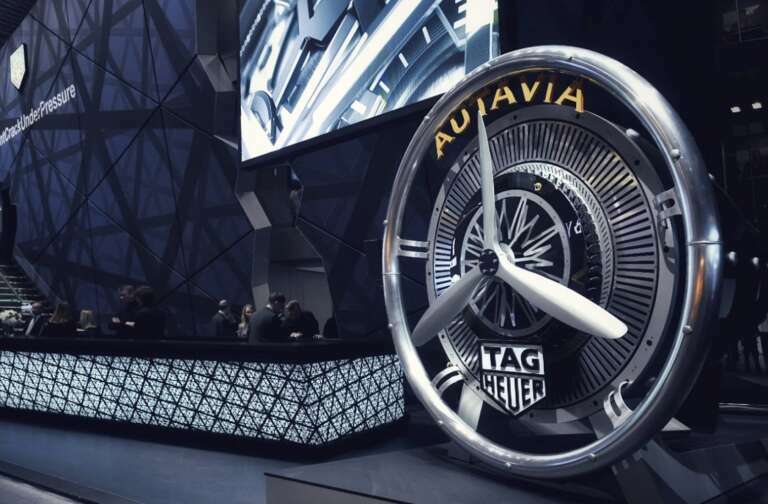 At the most recent Basel watch fair, the Group’s watch brands presented numerous innovations which will be delivered in the second half of the year. The first half was marked by the agreement made with the Bulgari family, shareholder of the celebrated Italian Maison, for the contribution of its majority shareholding to LVMH. Having obtained the agreement of the relevant authorities, the LVMH Board approved this contribution on June 30, 2011, bringing LVMH’s holding in Bulgari to 76.1%. A tender offer for the shares owned by minority shareholders will be launched shortly. Selective Distribution: rapid growth and strong profitability Selective Distribution achieved organic revenue growth of 18% and profit from recurring operations increased by 63% in the first half of 2011. Sustained by the continued growth in Asian tourism, DFS reaped the rewards of its upscaling strategy and its development in new markets. The Gallerias in Hong Kong, Macao and Singapore recorded remarkable performances as did North America which enjoyed good momentum. Renovation programs continued in markets with strong potential. Sephora recorded an excellent performance and strengthened its position across all its markets. Comparable store growth accelerated in the second quarter and online sales continued their rapid growth. Sephora continued to develop and modernize its network of stores. 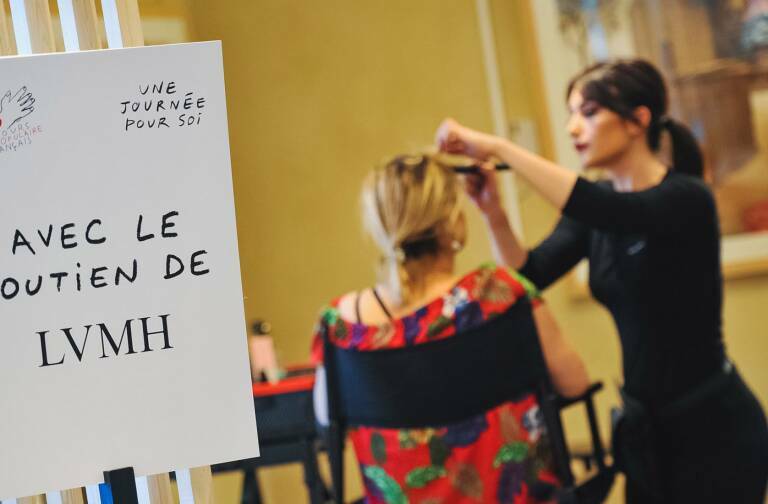 In Russia, Sephora increased its holding in the Ile de Beauté brand, one of the key players in the market, to 65%. 2011 Outlook In a global market experiencing strong growth but an uncertain monetary environment, LVMH will continue to gain market share thanks to the numerous product launches planned before the end of the year, to its geographic expansion in promising markets, while continuing to manage costs. Our strategy of focusing on quality across our entire product range, combined with the dynamism and unparalleled creativity of our teams, will enable us to reinforce, once again in 2011, LVMH’s global leadership position in luxury products. An interim dividend of €0.80 will be paid on December 2, 2011.. Appendix – Quarterly revenue by business group (PDF) Regulated information related to this press release is available on our internet site www.lvmh.com. Audit procedures carried out, audit report issued following the Board meeting.